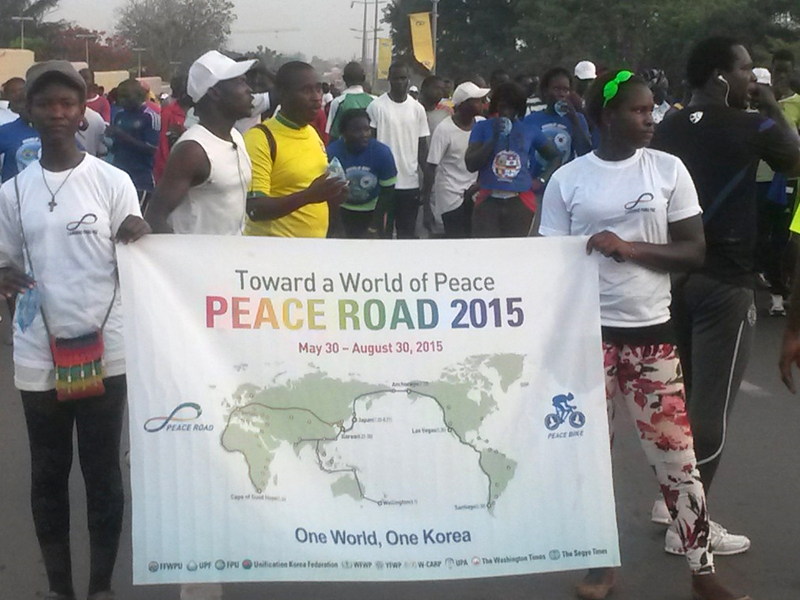 FFWPU Guinea-Bissau: On June 20, in Bissau, Guinea-Bissau, we organized a Peace Road march with peace bikes. We prepared a hundred white T-shirts and a hundred and twenty blue T-shirts. The event started at seven in morning from round point at the Bafata airport to the national palace. We march and rode bikes for 7 kilometers. The national television, radio and private radio covered this event, broadcasting it to the people for two days. At the end of the event, there was a speech about using peace messages. The national TV also carried the information in its main journal for two days.